We offer a full repair service on Stuart turner pumps and our success rate in repairing pumps is excellent. It is very rare that a Stuart Turner or monsoon pump cannot be repaired. We carry all the spare parts in our vans to encounter any problem on pumps. There are a lot plumbing companies on the internet claiming to be able to fix your water pump, this is only to get in your door and they will then tell you your pump cannot be repaired and it will need to be replaced. A little tip from us is always choose a company with a no fix no fee policy. Remember most plumbers can only replace pumps but cannot repair water pumps hence selling you that new pump. Saying they can repair your Stuart Turner / Monsoon pump is a well known a Marketing Strategy used by Plumbers and other Pump Companies. 99% of plumbers will ask you what’s wrong with your water pump? and no matter what the problem is with your pump they will always say the pump is to old and you are better off replacing the pump. This is not the case with Domestic Pumps we understand not everyone has the money to spend on a new pump. We can diagnose over the phone and in 99.9% we can repair your pump and if we do not repair it there is no charge or no obligation for you to get a pump from us. We can call to your home to repair your pump or you can bring it to our repair workshop and we can fix it while you wait. We are the Largest supplier in Ireland of reconditioned Stuart Turner water pumps and the only company who FULLY recondition these pumps to a very high standard. All pumps are stripped down and rebuilt using the Aqua Flow Products spare parts range. 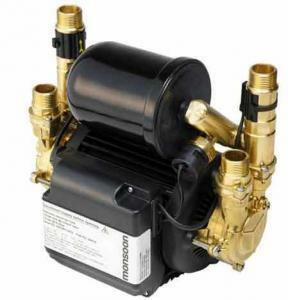 We supply reconditioned water pumps to home owners / plumbers / landlords & maintenance companies. Drop in Repair Centre in Ballymount with FREE Easy parking. We offer a drop in service at our repair centre in Ballymount Dublin for a speedy repair on Stuart Turner Pumps. So in this case if you were to drop your water pump into our repair centre in the morning depending what’s wrong with it, you will have it repaired that same afternoon or while you wait. Normally we can repair pumps in 45 minutes or less. Have a cup of tea or coffee while you wait in our canteen. We are the Largest supplier in Ireland and the UK for spare parts that are compatible with Stuart Turner pumps. We stock all the most common spare parts that are used on Stuart turner pumps. All our spare parts are brand new high quality parts. 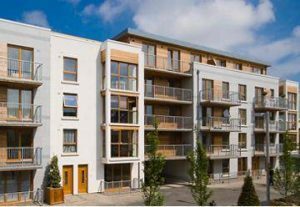 We are agents for Aqua Flow Products who provide pump spare parts to over 600 plumbing and retail outlets in Ireland and growing day by day. We work on a no fix no fee basis. That’s how confident we are in fixing your water pump. If we cannot repair your Stuart Turner water pump we do not charge you. We have a success rate of 100% in repairing Stuart Turner pumps. Most often the fault symptoms may look like the pump motor is burnt out but, this is not the case in most of these pumps. Most often you may need a few parts so solve the problem.There is no reason why you should not get 15 years of service from a Stuart Turner Pump. We offer our customers a free collection service and diagnostic service for anybody living outside the Dublin area in the Republic of Ireland or Northern Ireland. Just get your plumber to disconnect your pump and send up to us we can organise collection and delivery. Whether you are living in Cork, Galway or Belfast we can have your water pump picked up the following day, diagnosed and fixed within a total of 3 days.